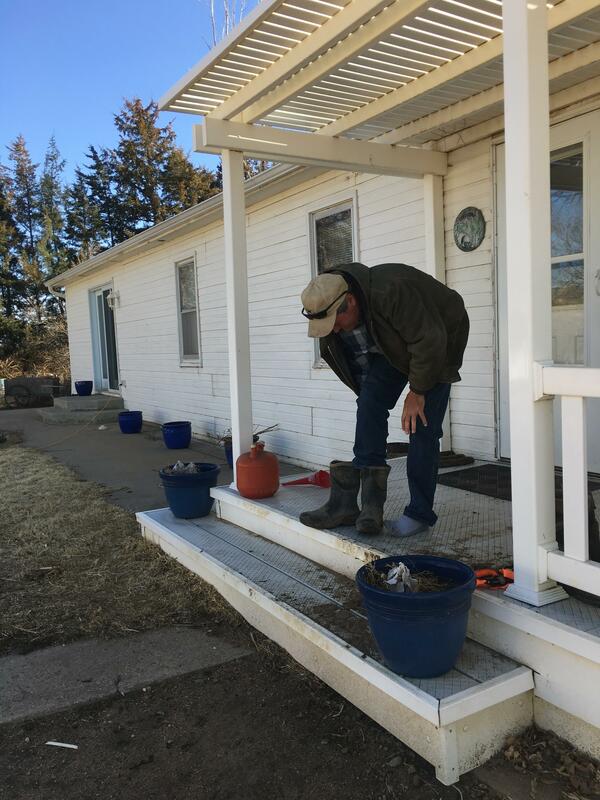 The average yearly rainfall in Rocky Ford, Colorado, where the farms have been family run for generations, is only 12.45 inches. 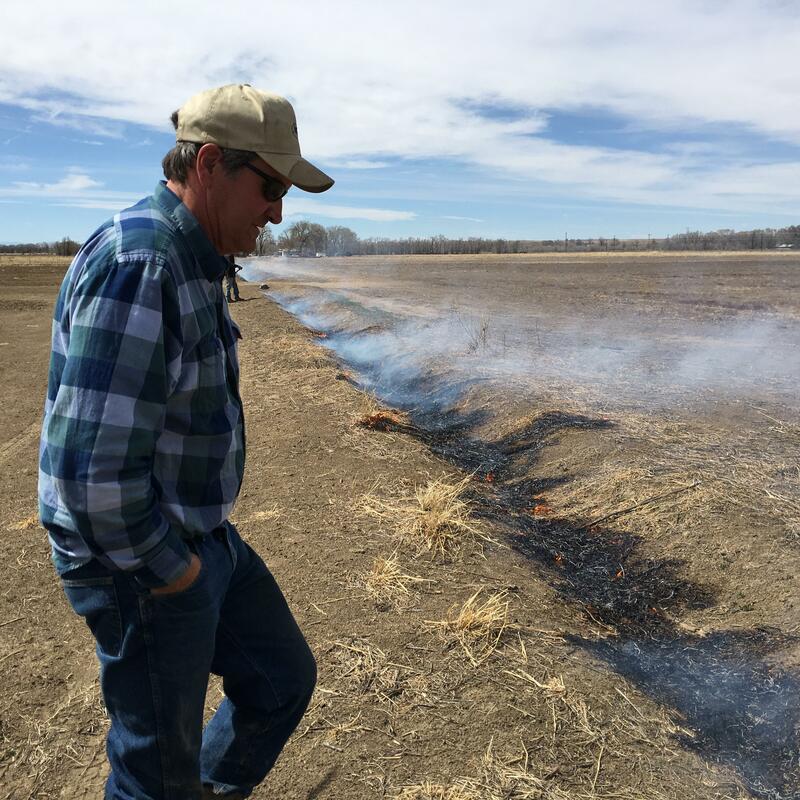 This reality has been a challenge for farmers since homesteading and 160-acre plots. The practices of farming on the East Coast, where water is more plentiful, were imported to a much different climate and much different soils. 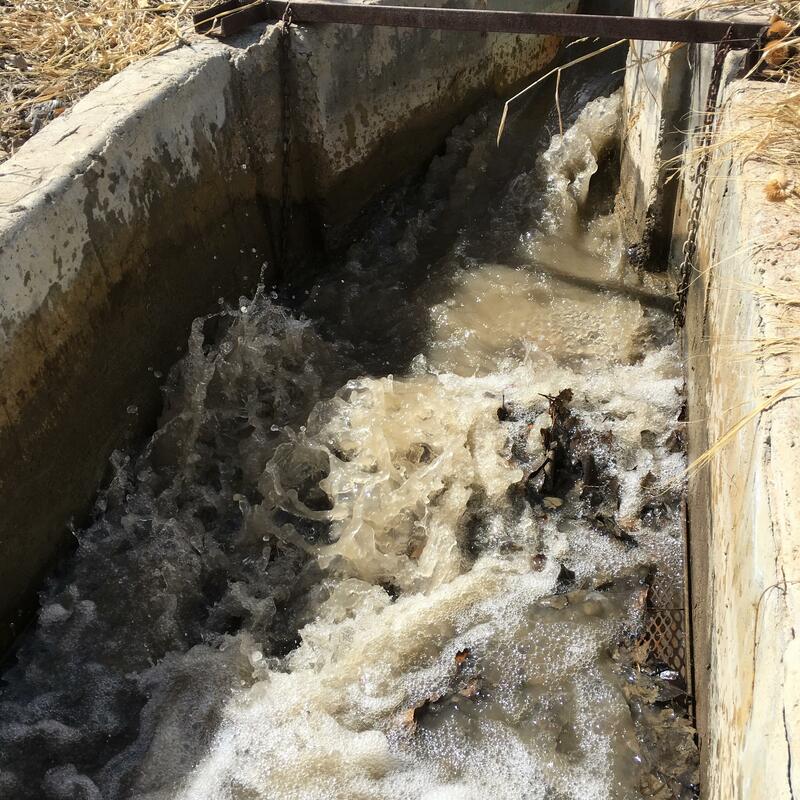 A new way to farm needed to be born and the answer came in hundreds of miles of irrigation ditch. 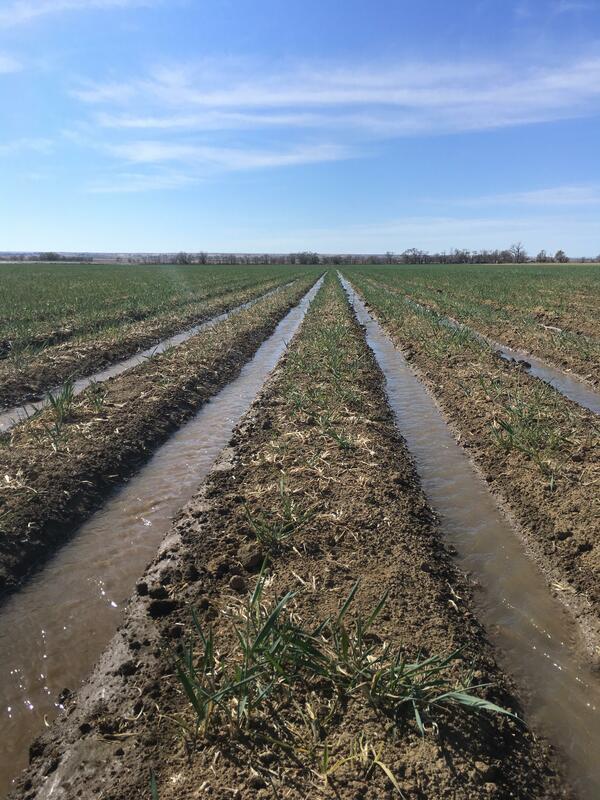 Irrigation – the transporting of water across the state through ditches, dams, and pipes – is the only way enough water can be brought to the fields that will produce the hay, corn, sorghum, cantaloupes, watermelons, chiles and other products of the Lower Arkansas Valley. 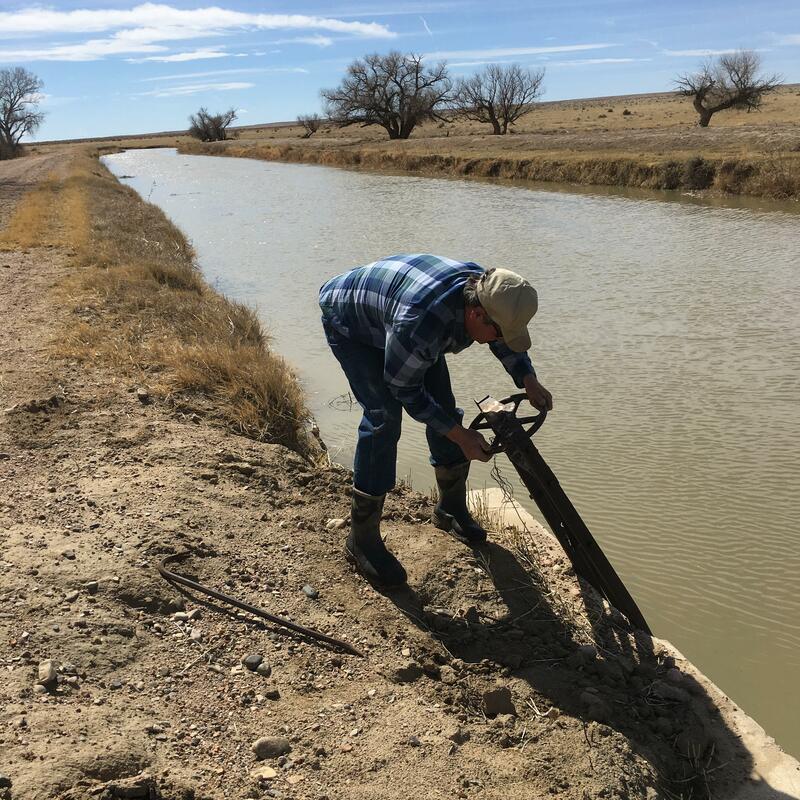 The Bessemer Ditch, just east of Pueblo, irrigates 18,000 acres of “nationally significant” farmland and the water doesn’t just come out of a tap. It is part of an intricate and complex system that sends specific amounts of water to farmers based on the water rights they own. The cycle of irrigation for this growing season started just a couple of weeks ago. “D-Day,” as Matt calls it. It is the first day water begins to flow and farmers can bring it to their fields. 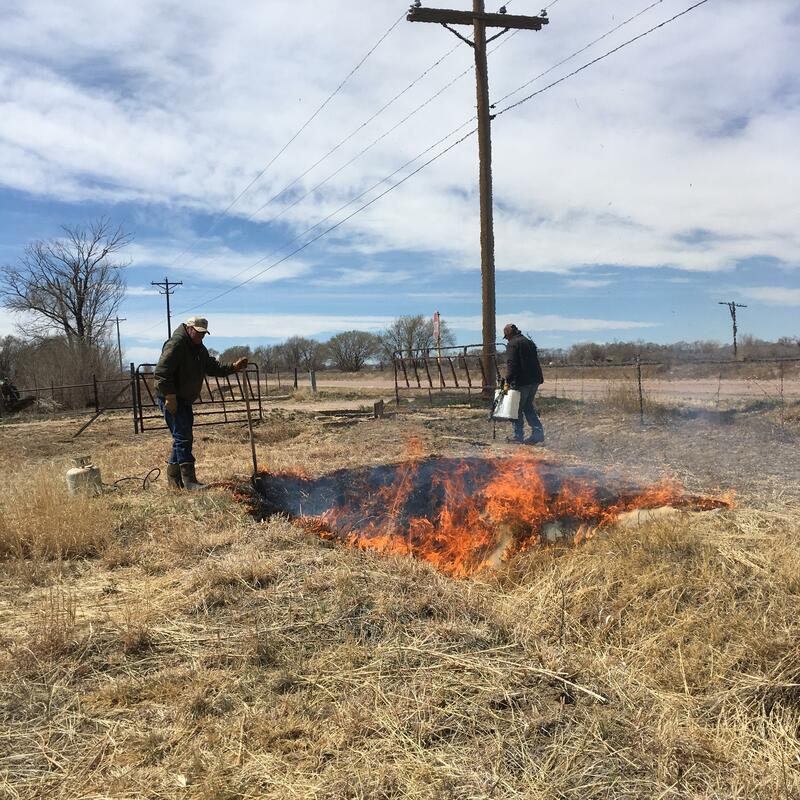 It is also the day they can see the repair needed in their ditches and in the furrows that transport water across the nearly level plains that will be seeded and producing crops in a few months time. A lot of work goes into D-Day. 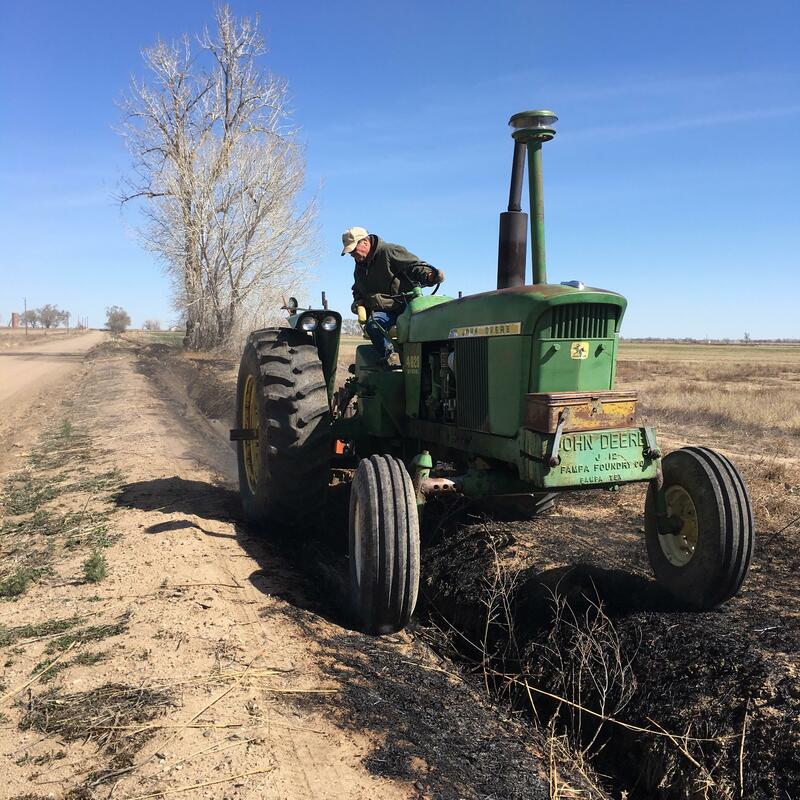 Beforehand, farmers have to clear the debris that has settled into the ditches over winter, dig out the blockages, and set dams along ditch routes to direct water where it needs to go. 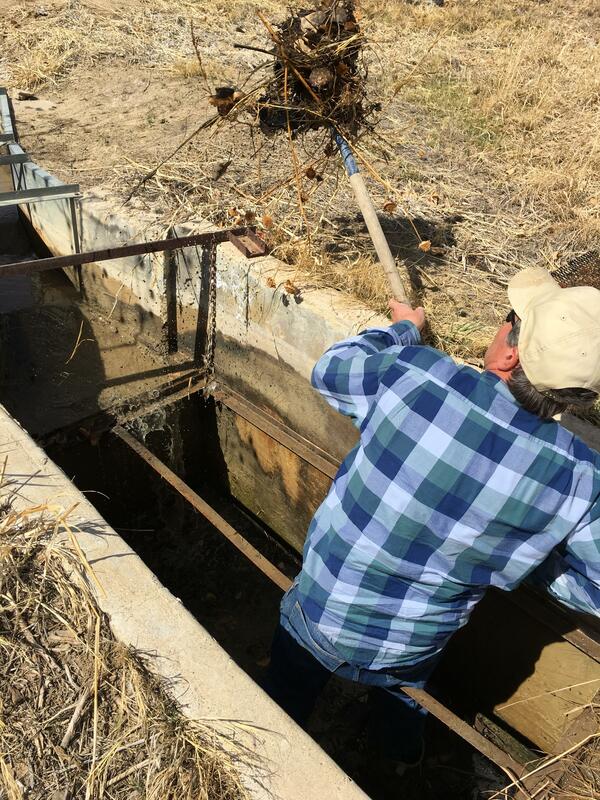 Machinery, shovels, and just plain grit get the work done as miles of irrigation ditch are inspected, cleared, dug out, and prepped. 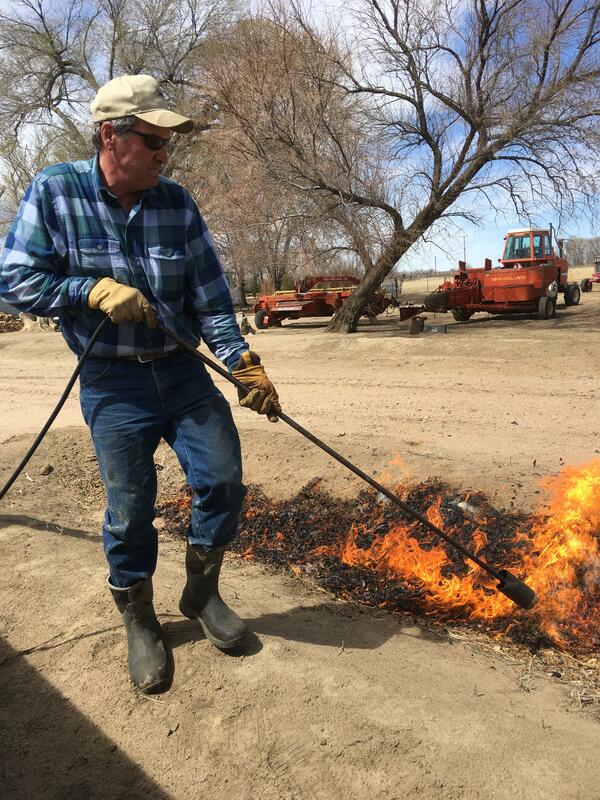 As the water spills onto the dry soil, it reveals the extra work that needs to be done to direct it down the field. 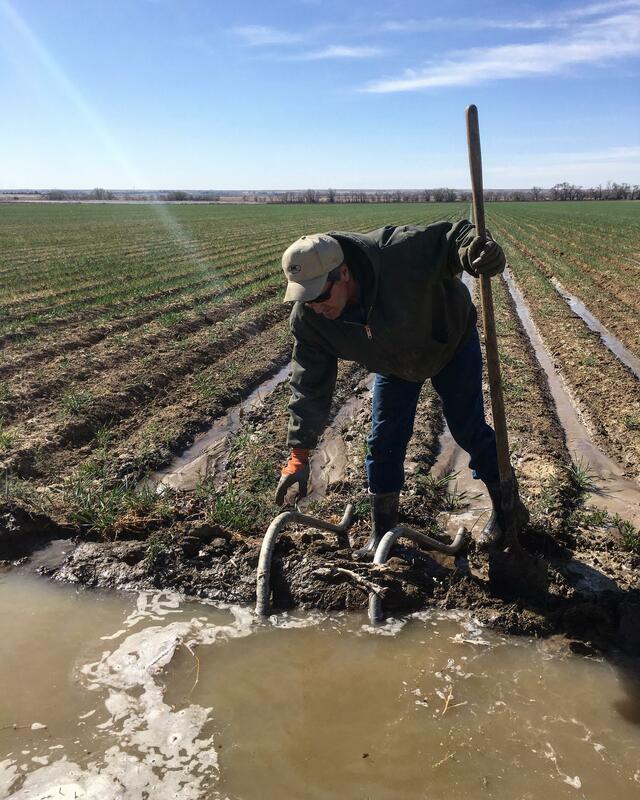 In Matt’s case, one of his fields runs fast and delivers water to the other side too quickly for it to soak into the soil. 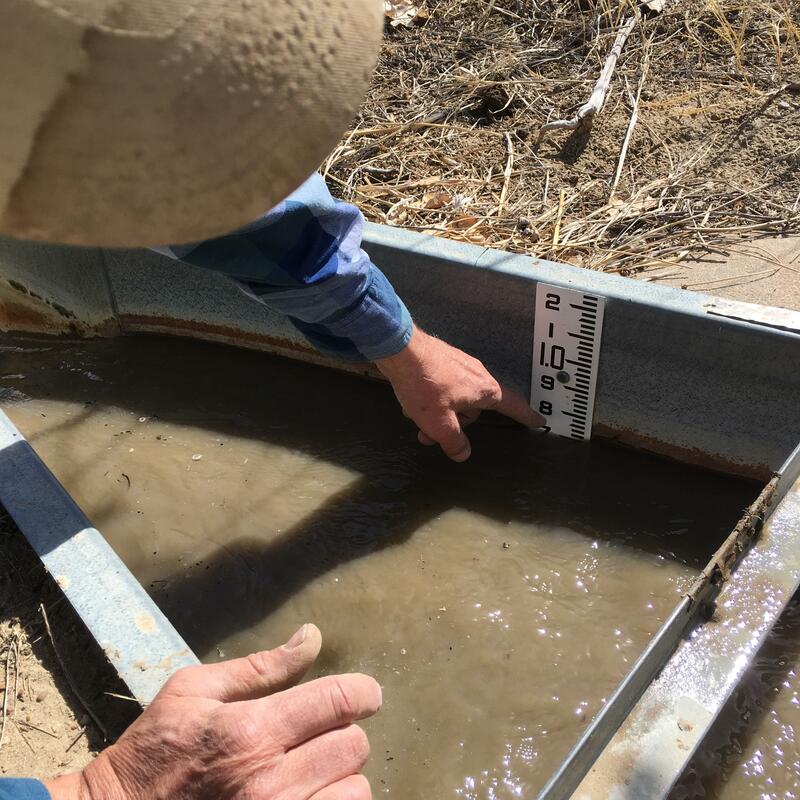 Shovels dig quickly to get the most out of every ounce of water that comes through the siphons, while dirt and spare tarps from the truck are piled up to keep water from heading away from where it needs to be. 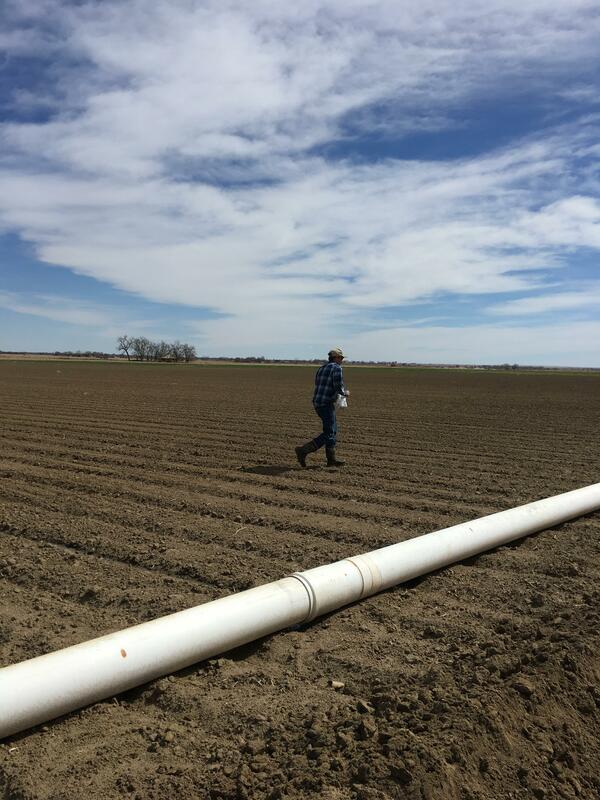 On another field, water pouring out of white pipes shows where cattle have meandered through and misaligned the perfectly straight lines and tidy rows that were ready for planting. The unruly water is redirected and put in place to feed the seedlings that will eventually be popping out of the soil. Just as Matt said, water and cows have ended up where he didn’t want them.